Renewed talk of a Caltrans/SANDAG plan to widen state Route 94 between the 805 and 5 interstates adding HOV lanes has Uptown neighbors scrambling to reassert their opposition while crying foul. “It’s been proven in Los Angeles that the addition of lanes doesn’t really decongest the traffic in the long term – they fill back up right away,” said Valerie Pasquetto, also of Golden Hill. Residents feel local government is going back on its word, she added. “They (officials) told us they wouldn’t go forward with freeway expansion without getting back to the communities. And now they’re (SANDAG’s) talking about a November ballot initiative (to do that),” Pasquetto said. Edward Cartagena, Caltrans media information officer, discussed the status quo of the SR 94 expansion project. 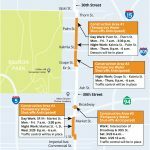 It’s the second go-round for the freeway infrastructure improvement project, which first surfaced more than a year ago. The SR 94 Express Lanes Project proposes to connect I-805 South Express Lanes with Downtown San Diego by constructing two new Express Lanes along SR 94, one in each direction, and a new direct connector between SR 94 and I-805. 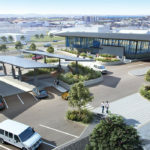 The Express Lanes would accommodate new Bus Rapid Transit (BRT) service, in addition to carpools/vanpools traveling between South Bay and Downtown connecting to a wider network of Express Lanes on I-805, and at a future date on state Route 15. Renewed discussion of reviving the SR 94 Express Lanes Project has brought renewed opposition. 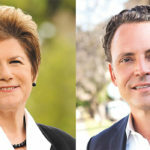 Pasquetto, Molten and Curran previously were involved in organizing neighborhood opposition not only in Golden Hill, but also in Sherman Heights, Bankers Hill, University Heights, Mission Hills and South Park. A previous petition drive in those communities netted nearly 1,000 signatures in opposition to the project in a matter of weeks. Due in part to public opposition to the SR 94 Express Lanes project, a draft environmental impact report for it, which was to have been released last summer for public review, was indefinitely delayed. Previously, Caltrans noted that SR 94, built in the late 1950s, has since become one of the most congested highways during the morning commute in San Diego County. SANDAG studies also have estimated that nearly 1 million more people will reside in San Diego County by 2030. 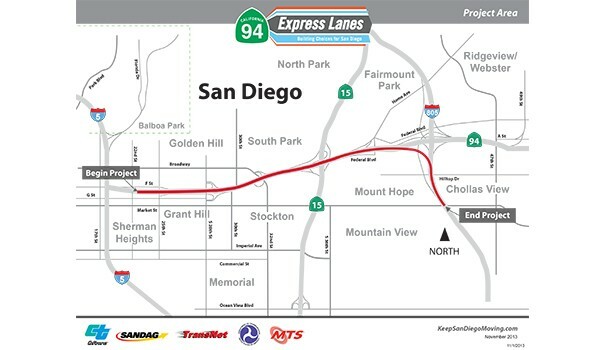 SANDAG/Caltrans officials have said that the SR94 Express Lanes Project has a number of objectives including: encouraging people to get out of their cars and use mass transit; provide additional lanes between on- and off-ramps; replace non-standard, left-hand connectors at the SR 94/SR 15 interchange; reduce commute times for travelers heading into Downtown using the South Bay Bus Rapid Transit; and facilitate vanpools/carpools reducing congestion while offering more commuting choices. Now the SR 94 Express Lanes Project may be back for another bite out of the apple. And Uptown residents say they’ll be ready for it. 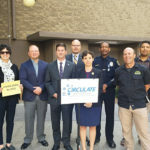 Monique G. López, senior planner and policy advocate with the Environmental Health Coalition (EHC), said adding HOV lanes is not the right solution. 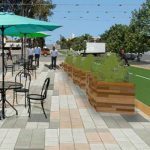 “EHC is currently working in a coalition with environmental, labor and community-based organizations to advocate for better and affordable transit, good jobs, safer streets and clean air,” she told San Diego Uptown News. López criticized SANDAG for reneging on its promise to residents. 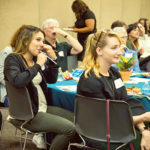 “Community residents have been engaged in advocating for a better approach to SR 94 corridor planning. As a result, in July 2015, SANDAG promised the community that they would take a fair look at other alternatives for the SR-94 corridor that did not allow for increased car capacity, but rather allowed for greater transit use. Additionally, SANDAG committed to implementing a pilot study for bus rapid transit on-shoulder, as an alternative to expanding the freeway,” she said. To contact those opposed to the project, email SR94project@gmail.com. More information about the project is available at bit.ly/1Yc5Lqp.